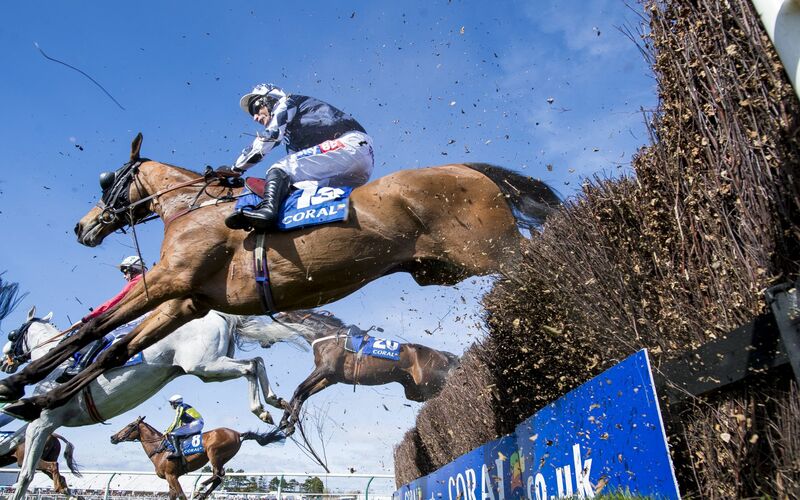 Guaranteed staying power, reliable jumping and a nice racing weight all combine to make the each-way claims of Crosspark hard to overlook in the 2019 Scottish Grand National betting. At the time of writing, Caroline Bailey’s stable star is trading at Scottish Grand National odds of 14/1, with William Hill paying five places at 1/5 of the win price in the Ayr showpiece. The nine-year-old has exhibited all the qualities needed to go close in the marathon contest over the course of a productive campaign and looks well worthy of one of the three horse racing Bet Boosts account holders have access to each and every day. Having won the Eider Chase on his previous start, Crosspark is one of only two horses in the Scottish Grand National betting to have already won over the 4m trip. The other, Mysteree, won that Newcastle marathon a year earlier and finished a neck behind our tip in this year’s race in first-time blinkers. In outlasting such a dyed-in-the-wool stayer, Bailey’s gelding produced a career-best effort to take what has been a very productive campaign in chases at three miles and beyond up another level. Crosspark’s Eider win took his tally to three victories, a third and fifth since November at trips between three and four miles. Of the last 16 horses to land the Scottish Grand National odds, all bar three had fallen or unseated no more than once in their careers going into the race. Crosspark has shipped his pilot just once in 23 outings under rules and a point to point, while he’s never fallen. Good news for partner Harry Skelton, who has claimed two wins and a third aboard the nine-year-old this term. The bronze medal effort came in Warwick’s 3m5f Classic Chase, when he was five-and-a-half lengths behind the re-opposing Impulsive Star. It was this effort that further testified to him being an improved horse this term, having finished 28 lengths adrift of Milansbar in the 2017 running. Despite a 7lb rise in the handicap for what was a career zenith last time out, Crosspark will run at Ayr off a manageable 10st 8lbs. No bad thing given 12 of the last 16 winners of the race lugged no more than 10st 9lbs to victory.